Helping To Keep Everyone Safe at the Edwardsville YMCA and surrounding community centers. This payment plan is an easy and economical way to join the YMCA. No Long Term Commitment! Never worry about your membership expiring again. Your monthly payment is automatically deducted from your checking/savings account or credit card. We draft on the 15th of each month. This payment plan is available for all memberships. Fees are equal to 12 monthly payments. Annual memberships are non-refundable. Payments can be made by Cash, Check, or Charge Card. Your membership expires 1 year from date of purchase. Joining fees are utilized to purchase new equipment and to renovate the facilities. All new members are subject to paying a joining fee when joining the YMCA. This is a one-time fee unless the membership is discontinued for more than 30 days. There will be a $15 service charge on ALL returned checks and automatic bank drafts. When you come into the YMCA, you will be asked to present your membership card. Loaning out of cards may result in loss of membership privileges. If you have not had your photo id made, please stop in to have it made for free. If you misplace your membership card, you will need to check in at the service desk before proceeding to the fitness center, gymnasium or pool. Our staff will provide you with a confirmation pass. Members will be allowed 5 passes before they will be asked to purchase a new card. Send an email to the Edwardsville YMCA’s Member Services Department, Erin Richardson at erichardson@edwymca.com with the completed Membership Cancellation Survey attached. Open gymnasium use is limited to those individuals residing in School District #7 or to members of the Edwardsville YMCA. Proof of residency shall be in the form of driver’s license, voter registration card, school identification card, and/or library card. 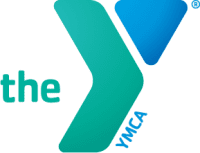 As an organization centered on Christian principles, the YMCA Board of Directors has implemented a disciplinary policy which applies to patrons of the YMCA. This policy will be strictly enforced and we ask that all patrons conduct themselves in a manner which is consistent with the YMCA mission. The YMCA is not responsible for lost or stolen property. Due to the large volume of people using the YMCA facilities, we are unable to check valuables at the service desk. Members and guests are advised not to bring valuables with them. Lost and found articles will be kept at the YMCA for a period of 2 weeks, at which time they will be donated or thrown out. Ask at the service desk to check our lost and found area. To better provide for your safety and health, we ask that all individuals with medical problems inform the YMCA staff of such before starting any of our programs. All cases of accident, injury or an unusual incident should be reported to the staff person on duty. The YMCA assumes no responsibility for injuries incurred while participating in YMCA activities. It is expected that anyone who uses the YMCA facilities carry their own medical insurance. Food and drink is prohibited in all areas of the facilities except designated concession areas. The YMCA is a tobacco-free facility. Please do not smoke or use tobacco products anywhere within the facility or grounds. Proper attire should be worn while utilizing each area of the facility. Shirts and shoes must be worn in all areas of the YMCA except for the locker rooms and swimming pool. Black sole shoes are not permitted on the courts. Information published on this web site is provided for the use of its visitors and you are advised that, although care has been taken to ensure technical and factual accuracy, some errors may occur. No guarantee is given of the accuracy or completeness of information on these pages. Please be aware that the Edwardsville YMCA may alter the information on its web site from time to time. The Edwardsville YMCA shall have no liability arising from the use by any party of the information on this web site. The Edwardsville YMCA not warrant the information on this web site in any way and in particular no warranty is given that the web site or its contents or hyper-text links are virus free or uncontaminated. You are advised to make your own virus checks and to implement your own precautions in this respect. The Edwardsville YMCA exclude all liability for contamination or damage caused by any virus or electronic transmission. Your personally identifiable information is kept secure. Only authorized employees, agents and contractors (who have agreed to keep information secure and confidential) have access to this information. All emails and newsletters from our sites allow you to opt out of further mailings. The Edwardsville YMCA will never sell trade, rent, exchange or otherwise share your personal information with any other person, company or organization.